Acts 5:1-2 But a man named Ananias, with his wife Sapphira, sold a piece of property, (2) and with his wife’s knowledge he kept back for himself some of the proceeds and brought only a part of it and laid it at the apostles’ feet. It is not my intent to teach that Sapphira was married to an abuser. I simply cite this scripture as an illustration of a wife taking the side of her husband in an evil matter. Both were held accountable. Nor am I teaching here that a victim of domestic abuse who does not actively expose her abuser is going to be counted guilty by the Lord. We all know, I trust, that “just leaving” an abuser is no easy matter and sometimes, for a time, it is impossible. But I do want to discuss here a subject that I have come across personally numerous times, namely, cases in which the wife of a domestic abuser actively defends the abuser and even participates in his abuse of their children and of other people. 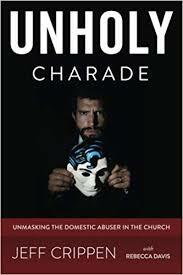 All of the cases I have dealt with have been in the local church and in which the abuser and spouse claimed to be Christians.